A true classic white calla, often seen used in floral arrangements. 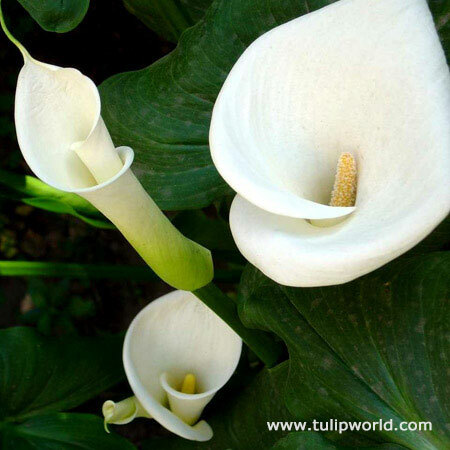 The lush green leaves are decorated with white dots, to add extra flair even when this calla is not in bloom. Does best when planted in full sun, with well draining soil, once established will withstand moist conditions.